The Standpipe rainwater harvesting system is a unique package offered by Owls Hall Environmental. The F-line tank offers easy installation and a 25 year warranty. The Owls Hall 1500L Standpipe Garden Rainwater Harvesting system is a great solution for a modern or traditional garden, simply run the flexible pressure hose underground to the standpipe and install where required. The standpipe and tap can be installed within 20 metres of the tank. The Flat tank has a 25 year warranty, its shallow design makes DIY installation easy! A true complete system with everything you need. 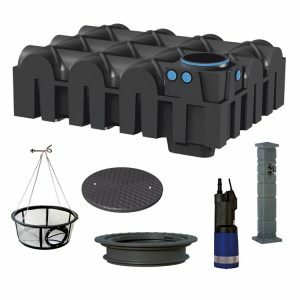 The Owls Hall 3000L Standpipe Garden Rainwater Harvesting system is a great solution for a modern or traditional garden, simply run the flexible pressure hose underground to the standpipe and install where required. The standpipe and tap can be installed within 20 metres of the tank. 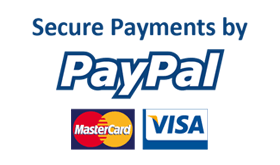 The Flat tank has a 25 year warranty, its shallow design makes DIY installation easy! 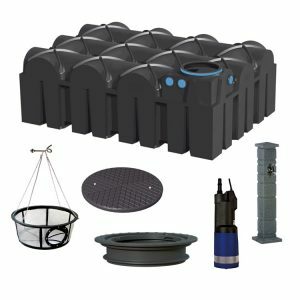 The Owls Hall 5000L Standpipe Garden Rainwater Harvesting system is a great solution for a modern or traditional garden, simply run the flexible pressure hose underground to the standpipe and install where required. The standpipe and tap can be installed within 20 metres of the tank. The Flat tank has a 25 year warranty, its shallow design makes DIY installation easy! 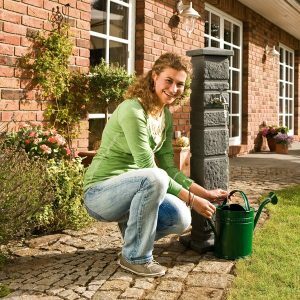 The Owls Hall 7500L Standpipe Garden Rainwater Harvesting system is a great solution for a modern or traditional garden, simply run the flexible pressure hose underground to the standpipe and install where required. The standpipe and tap can be installed within 20 metres of the tank. 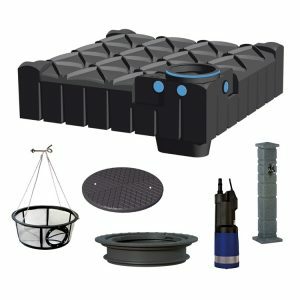 The Flat tank has a 25 year warranty, its shallow design makes DIY installation easy!